Nowadays convertible PCs are famous in tech markets. This may be due to the reason that they are light-weighted and easy to handle. Infact many major players in the tech market have their own identified convertible PCs. 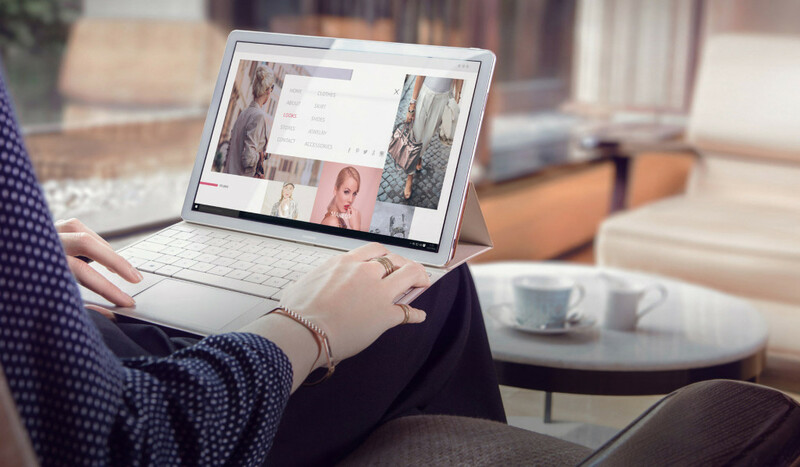 Huawei also introduced their latest convertible PC named MateBook to the market. This device was first launched at MWC 2016. With MateBook Huawei also joined the league of companies who have launched convertible PCs so far. By launching MateBook, Huawei poses a strong threat on Surface Pro 4 launched by Microsoft. MateBook is features with a thickness of just 6.9mm and is having a weight of 640 grams. This is loaded with foldable sans keyboards. The entire body of the device is covered with aluminium body. The display of MateBook comes to be 12 inches edge to edge, which features a resolution of 2160*1440 pixels. The display is loaded with IPS technology. MateBook is powered by 6th Generation Intel Core M processors. Huawei allows the users to choose from among M3, M5 and M7 processors. The storage option offered ranges from 128GB to 512GB according to the prices.MateBook comes with two RAM variants – one with 4GB and other with 8GB.MateBook runs on Windows 10 OS. The keyboard can be attached with the device with the help of magnets and this magnetic connection is strong enough to hold the keyboard even when the device is airborne. The keyboard is backlit loaded with four levels of brightness. Also the keys are large enough to provide extensive typing experience. The Stylus of MateBook is called MatePen. MatePen is loaded with 2048 levels of pressure sensitivity, which is more than that of Microsoft Surface Pen. MatePen is also loaded with dual buttons, which are Action Button and Erase Button. It is also loaded with Laser Pointer which can be used whenever necessary. MatePen should be charged periodically before using and with single charging it can last upto one month. MateBook is also loaded with a Fingerprint scanner which is placed in-between the volume trackers to the side of the device.MateBook is having a single camera to its front which is loaded with 5MP lens. Unfortunately there is no camera attached to the rear side of the device. MateBook is loaded with a micro USB-C port. In addition Huawei offers an adapter, which when connected to USB-C port gives you 2 USB port, Ethernet, VGA, HDMI and USB-C port. The above said MatePen comes along with this adapter. With the help of 33.4 Watt hour battery, this device can be kept live for a time period of 10 hours. The device comes with different price tags. The basic device featuring M3 processor and 4GB RAM is tagged at $699, while the device featuring M7 chip and 8GB RAM is tagged at $1599.Company declared that the device will make its way to Asia, Europe and North America by next month.